HawkEye 360 has launched its first cluster of three, formation-flying small satellites aboard a SpaceX Falcon 9 rocket.The Radio Frequency (RF) data analytics company said in a release that the Pathfinder satellites will deliver a unique source of radio frequency (RF) data that HawkEye 360 will use to create first-of-its-kind RF-based analytics. 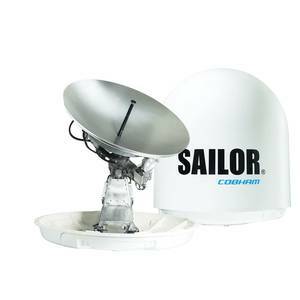 Cobham SATCOM's new SAILOR 100 GX High Power Fleet Xpress user terminal is a compact 1 meter, 3-axis stabilized Ka-band user terminal specifically designed to enable Inmarsat’s newly launched high data rate plans packaged for bandwidth-hungry segments, such as offshore support vessels (OSV), global cruise and superyachts. 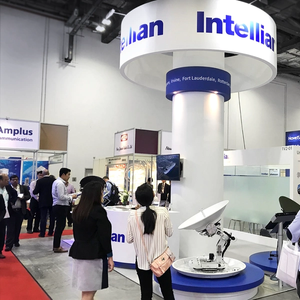 Intellian will be showcase its two newest products, Flyaway and v85NX, at CommunicAsia 2018 from June 26 to June 28 in Singapore.Flyaway, Intellian’s first land-based, man-portable antenna LP100, is built to be quickly deployed and commissioned with its lightweight and airline baggage checkable setup. 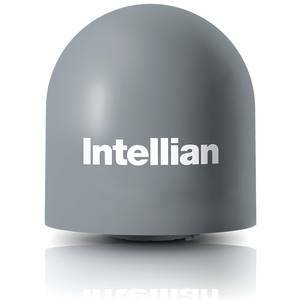 Satellite communication solutions provider Intellian said it has been awarded a contract by SPAWAR to deliver its new SPL100 antenna system to the U.S. Navy.The SPL100 antenna is acombined Ka- and L-band antenna system designed to provide sustained information warfare capabilities. 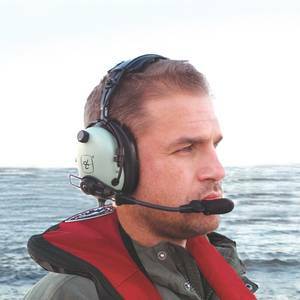 Communications company Orbit Communications Systems Ltd. announced today that a major Asian Navy ordered Orbit’s maritime satcom systems totaling approximately $1.1 Million. 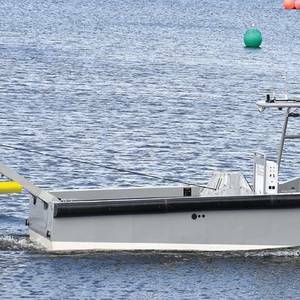 The order includes several new Ku-band OceanTRx 4 systems, as well as spare parts for existing Orbit systems.